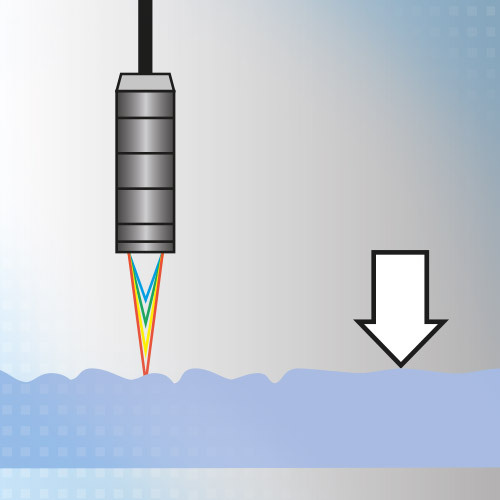 Confocal chromatic sensors from Micro-Epsilon are used to detect cracks and other defects on the wafer. They reliably detect surfaces with varying reflection characteristics due to a fast surface compensation feature. An extremely small light spot and high resolution enable the reliable detection of the finest of anomalies on the wafer.